A year delivering diverse projects, initiatives and events at the UIAA witnessed significant activity across the federation’s three pillars of safety, sport and sustainability, thanks to the endeavours of its eight commissions, Management Committee, Executive Board and Office based in Bern. Highlights include a new high-altitude medical paper, the publication of a 24th Safety Standard, the continued evolution of the Mountain Protection and Rock Climbing Festival Awards, the new audience introduced to the UIAA’s activities through the livestream platform of competition ice climbing and creation of a new declaration paper, the UIAA Code of Ethics. Perhaps the most significant moment of the year was the 2018 UIAA General Assembly, one many delegates required expedition-levels of commitment to overcome travel delays in reaching Mongolia, but an occasion which provided a platform for exchange, networking and developing ideas for a future, better UIAA. While a new strategy is developed throughout 2019, the UIAA will continue to deliver tangible benefits to its members, and act on the valuable feedback received from delegates during the GA. The first official UIAA Ice Climbing competition of the year began in Malbun, Liechtenstein with the staging of the UIAA Ice Climbing World Youth Championships. After a series of new European Cup events this marked the official start of the World Tour, five World Cup events held in as many countries from January to March. During the UIAA Ice Climbing World Cup in Saas-Fee, the Swiss Cancer Research Foundation were presented with a donation of £25,000 from Climbers Against Cancer (CAC), a charity founded by the late John Ellison, which has gone on to raise hundreds of thousands of dollars from climbers and mountaineers. CAC is supported by the UIAA. At the UIAA Ice Climbing World Cup in Rabenstein, Italy, history was made with a first gold medal won by an Iranian athlete. Mohammadreza Safdarian claimed the men’s lead competition. Led by Safety Commission President Amit Chowdhury and Safety Label Administrator Stephanie Stettbacher, the UIAA attended ISPO Beijing, the leading multi-sports exhibition in Asia, delivering a presentation on mountain safety and introducing the UIAA Safety Label to manufacturers in a rapidly developing market. Ahead of ISPO Beijing, the UIAA delegation met with representatives of OTC Jiangsu Zhongheng Testing Co, one of two officially accredited UIAA laboratories in China. Their presence will support the availability of certified and safe climbing equipment in Asia. The month ended on a sad note with news that the renowned journalist and chronicler of Himalaya expeditions, Elizabeth Hawley passed away at the age of 94. 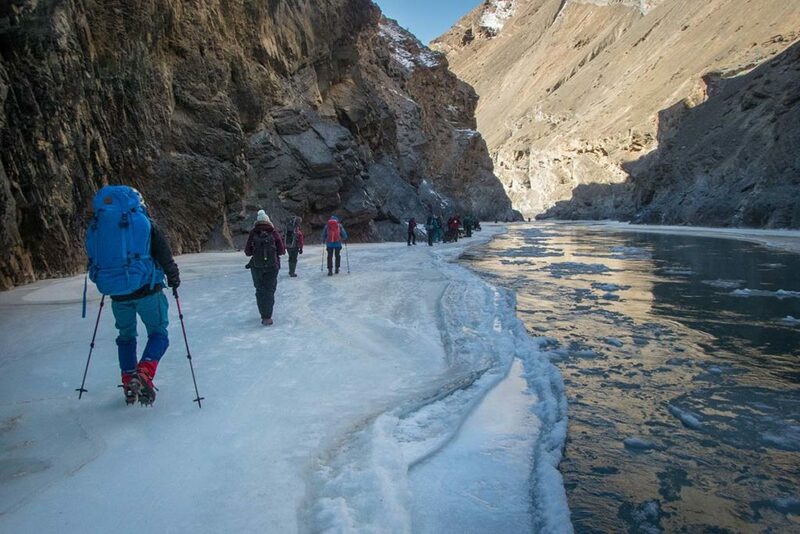 The UIAA continued to provide essential advice for climbers detailing a number of safety concerns for adventurers and tourists in one of India’s most popular trekking destinations, the Chadar Trek. 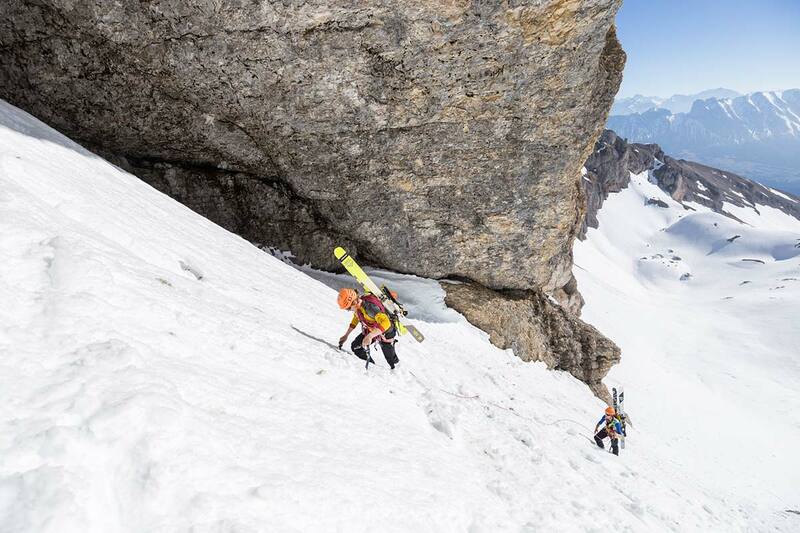 The UIAA/Petzl Foundation Alpine Skills Summer guide first published in 2015 celebrated its digital launch. To promote this initiative, the UIAA launched a series promoting key extracts from the book. Content which will assist climbers in developing both their core skills and knowledge of the mountain environment. The Series is still underway, the entire library is available on the UIAA website, and sales of the digital handbook continue to grow. At the UIAA General Assembly in October, further details were communicated about the impressive collaboration between the Petzl Foundation and a number of UIAA member federations in delivering more foreign language translations of the handbook. February also witnessed the promotion of The Ogre a two-part book which documents the remarkable tale of Doug Scott, former UIAA Management Committee member, and Chris Bonington’s dramatic first ascent and fight for survival on the Ogre in Pakistan’s Karakoram in 1977. The UIAA profiled the burgeoning Malta Climbing Club (MCC), confirmed as full member of the UIAA at the 2017 UIAA General Assembly. To mark International Women’s Day on 8 March, the UIAA dedicated the latest instalment of its Passion for the Mountains series to exploring how, and when, a lifetime relationship with the mountain environment commenced for a number of women with close ties to the UIAA. Kathmandu, Nepal hosted the UIAA Executive Board and Management Committee meetings, an opportunity for UIAA delegates from around the world to exchange ideas, advance on strategic discussions and share updates on progress following October’s UIAA General Assembly held in Shiraz, Iran. The event closed with a press conference to mark the opening of the 2018 UIAA Mountain Protection Award and to reward 2017 winner Mount Everest Biogas Project, whose work is initially centred on Nepal and the world’s highest mountain. A thrilling 2018 UIAA Ice Climbing World Tour concluded in Kirov, Russia. Close to three million viewers followed the season on UIAA and partner channels. The overall standings saw South Korea’s Woonseon Shin confirmed as the winner of the women’s lead and Ekaterina Koshcheeva of Russia claiming the speed competition. In the men’s disciplines, Maxim Tomilov took the lead title and Nikolai Kuzovlev the speed. A productive meeting between EUMA (European Union of Mountaineering Associations) and the UIAA took place to discuss future collaboration between the two organisations. Delegates from UIAA member Japan Mountaineering and Sport Climbing Association (JMSCA) visited areas of Nepal affected by April 2015’s devastating earthquake to assess the recovery in person. Together with several other mountaineering and outdoor organisations in Japan, the JMSCA has helped raise significant funds in the aftermath of the disaster. The UIAA were one of 20 international federations to participate in a workshop in Gland, Switzerland dedicated to biodiversity conservation organised by the International Union for Conservation of Nature (ICUN). Guidelines were presented designed to help the sports industry understand its potential impact on nature. A chapter in the UIAA Alpine Skills Summer Handbook focused on the potential risks and complications of frostbite, whilst the UIAA and the British Mountaineering Council (BMC) jointly raised awareness about the potential perils of buying climbing equipment online. The month ended with the UIAA Mountaineering Commission holding its latest meeting in Lisbon, Portugal with training standards and mountain safety the key topics for discussion. At the annual UIAA SafeCom meet in Porto, Portugal, representatives from global climbing equipment manufacturers and testing laboratories as well as national delegates from UIAA member associations met to discuss the current challenges facing the climbing world and to present progress on innovations and developments. During the meeting, Jean-Franck Charlet was recognised for his outstanding thirty-five years of commitment to the UIAA. Charlet joined the federation in 1983, served as Safety Commission Vice President under Pit Schubert for seven years and then became Commission President from 2002 to 2009. The annual meeting of the UIAA Mountain Protection Commission (MPC) took place in the idyllic setting of the Lake District, United Kingdom, and among the commitments made were a decision to review and update the current UIAA Environmental Guidelines of (2002), to bring them in line with current state-of-the-art knowledge and recommendations for sustainable practices in the mountain space. A new article was published in the UIAA series exploring the UIAA MedCom’s high-altitude advice, this time with a specific focus on women going to altitude. 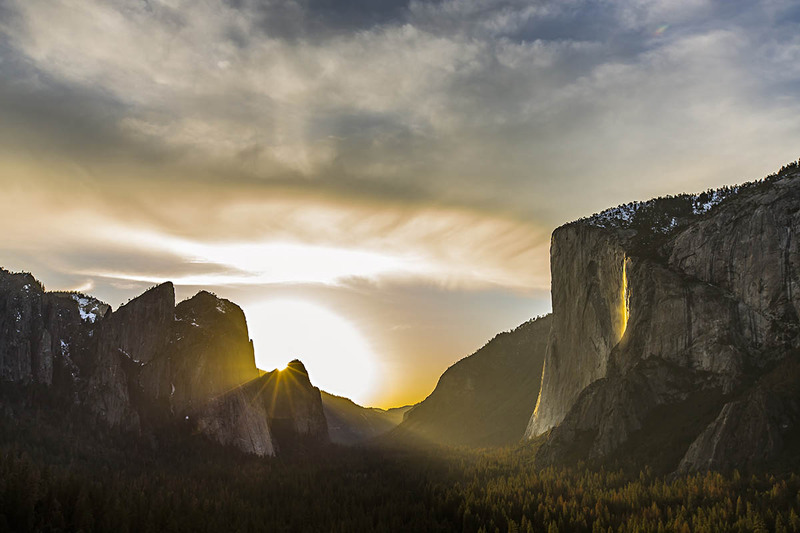 The Dawn Wall, a film which portrays Tommy Caldwell and Kevin Jorgeson’s epic attempt to scale the 3000-ft rock face of the same name in January 2015, was named as the winner of the UIAA prize at the 66th Trento Film Festival. 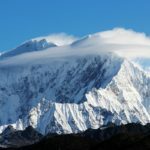 The UIAA announced the publication of its 24th international safety standard for climbing and mountaineering equipment. The Standard is dedicated to avalanche rescue shovels. A new Standard for probes is expected in spring 2019. 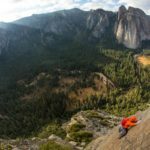 Meanwhile, as part of its commitment to raising awareness about the importance of preserving natural rock and to reducing indiscriminate bolting (see the 2014 paper), the UIAA shared an article from Norwegian climber Robert Caspersen concerning an expedition made in late 2017 with three friends to climb the high east face of Gessnertind (3020m) in Antarctica. Two major international gatherings for the outdoor community took place in June 2018 with the UIAA represented, and leading discussions, at both events. 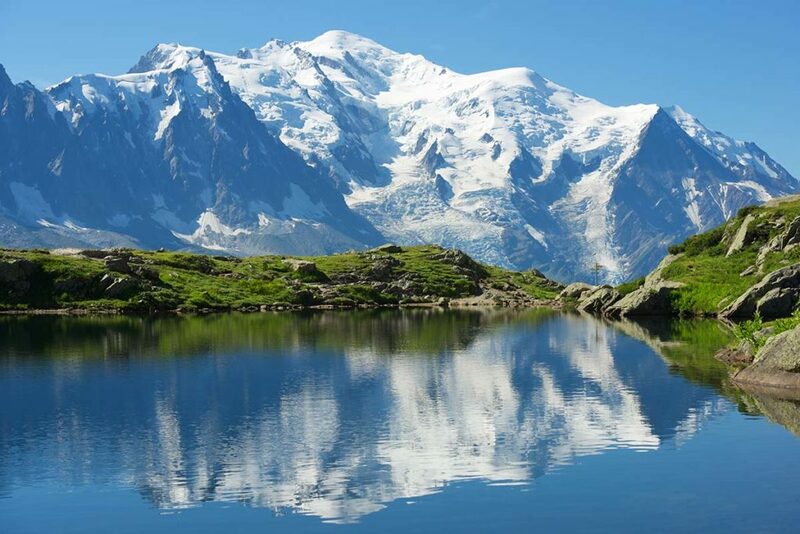 First, the biennial Sustainable Summits Conference took place in Chamonix, France from 12-14 June where the three-day discussions focused on the future for the world’s high mountains. A week after the Sustainable Summits conference, the UIAA was represented at OutDoor, the world’s leading trade fair in the industry held in Friedrichshafen, Germany from 17-20 June. The third annual Climb the Hill event began in Washington D.C. Co-hosted by The American Alpine Club and the Access Fund, the event, which began in 2016, brought together more than 60 professional climbers, industry leaders and partner organizations to advocate for public lands and a robust outdoor recreation economy. 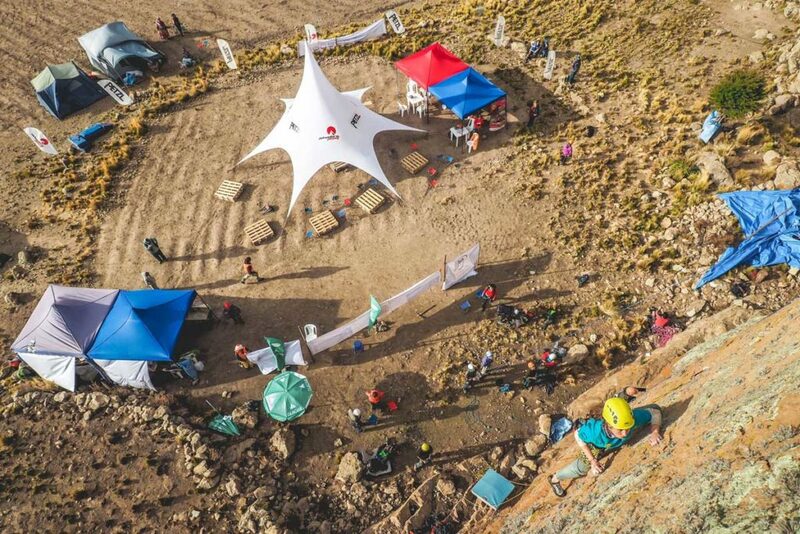 Festivals from Argentina, Bolivia and Brazil were named as the candidates for the fourth UIAA Rock Climbing Festival Award. 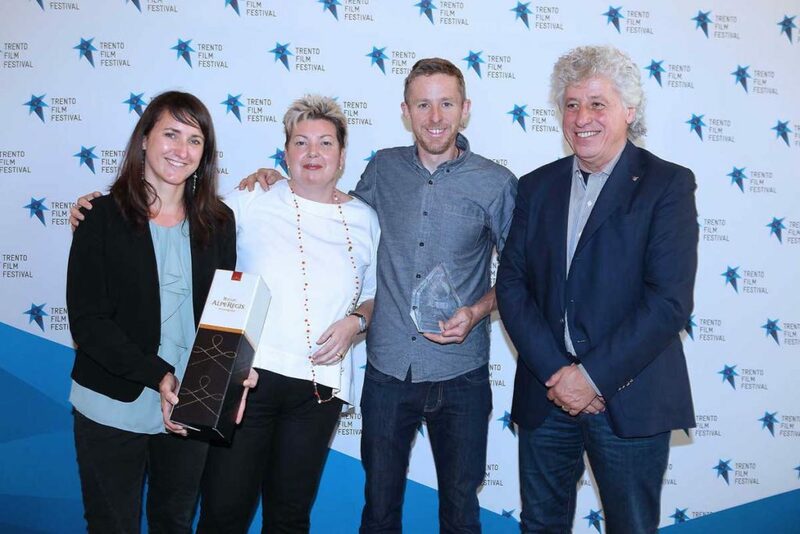 The Award recognises festivals which inspire the development of climbing in their region, present a robust sustainability programme, promote safe climbing and foster a sense of community among climbers and the local population. An article summarising the UIAA MedCom’s position on the advantages and disadvantages of using hiking sticks – became one of the most viewed articles on the UIAA website in 2018. Meanwhile, French authorities issued a decree restricting access to the summit of Mont Blanc owing to overcrowding and ‘safety and public order’ risks. The 2018 UIAA Respect the Mountains Series commences with two clean-up events in Italy. Following a meeting in Geneva, the UIAA received assurances from the Government of Nepal that access to climbers would not be restricted and that climbers and mountaineers would continue to be welcome in the country. This is in alignment with the UIAA’s belief that climbers should have unrestricted access to mountain areas provided they conduct themselves in a respectful and responsible manner. The latest instalment of the UIAA’s passion for the mountain series centred on the Ladevant brothers who have quickly become an integral presence on the ice climbing circuit and are using their experience in competition to prepare for a future as mountain guides. The UIAA Access Commission travelled to Canmore, Canada for its 31st annual meeting which was hosted by the Alpine Club of Canada (ACC). Among the topics were the ongoing access issues in Argentina and Chile. The UIAA was saddened to hear about the death of Youth Commission Honorary Member Alexander Zaidler. A global calendar for international ice climbing competition and rock and ice festivals was launched by the UIAA. The platform provides an opportunity for festivals to promote themselves through the UIAA’s network and for climber and mountaineers to access events. Similar calendars will be set up for youth and clean-up events in 2019. Applications were evaluated and received for the 2018 UIAA Mountain Protection Award. The nominees captured a range of causes tackling sensitive issues like waste management at remote high-altitude locations, natural disaster recovery programmes, pollution, overcrowding, the preservation of flora, fauna, threatened species and climate change. For the 2018 Award, the MPA Assessment Team placed a greater emphasis on projects demonstrating an ability to engage and mobilise the climbing and mountaineering community within their initiative, something reflected in all of this year’s Award candidates. In all, 18 projects were recognised. The UIAA profiled the emergence of Iran, a new force in competition ice climbing while UIAA Unit Member, the International Skyrunning Federation held its World Championships in Scotland. The 2018 UIAA General Assembly was held in Ulaanbaatar, Mongolia on Saturday 6 October, welcoming more than 100 delegates representing 34 different countries. 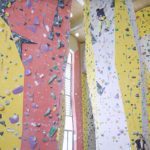 The event was superbly hosted by the Mongolian National Climbing Federation (MNCF). The Federacion Costarricense de Deportes de Montaña (FECODEM), Costa Rica, the Union of International Mountain Leader Associations (UIMLA) and the International Slackline Association (ISA) all became observer members. Peter Muir (ACC), was elected to the UIAA Executive Board. Muir joins existing Board members – Frits Vrijlandt, Hélène Denis, Thomas Kähr and Wang Yongfeng. Vrijlandt, UIAA President, paid tribute to the outstanding contributions of two outgoing Board members. Peter Farkas, a long servant of the UIAA and EB member for twelve years, as well as Marc Beverly, who finished a four-year term, were recognised for their efforts. At the 2018 UIAA General Assembly, a new UIAA Code Of Ethics was approved. Two of the three South American festivals recognised as part of the annual UIAA Rock Climbing Festival Award held their 2018 editions. The UIAA profiled a hugely successful edition of BLOQUEando, the festival awarded the 2018 UIAA Rock Climbing Festival Development Award. The overall winner of the 2018 Award was the Festival de Boulder de Mar del Plata, Argentina. 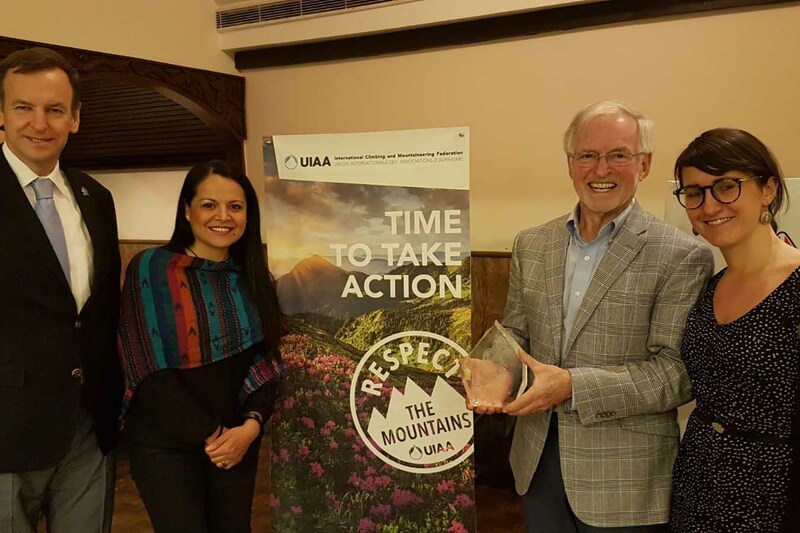 Community Action Nepal (CAN) was named as the sixth winner of the UIAA Mountain Protection Award. Giroparchi Nature Trail by Fondation Gran Paradis, Italy, was runner-up and A system for the management of health and safety in wilderness areas by Tracks Safety, Argentina, was recognised as the best new initiative. Outdoor Research was named as successor to The North Face Korea as the official UIAA Ice Climbing World Tour title sponsor, signing a five year deal. The UIAA pays tribute to an influential member of the sports community, GAISF President Patrick Baumann, who passed away suddenly. 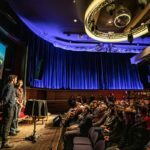 In partnership with Pathé Cinemas, Red Bull, Adventure Film Tours and the Swiss Alpine Club (SAC), the UIAA co-hosted the Swiss premiere of the film The Dawn Wall. On 30 October 2018, Board-level representatives from the IFSC (International Federation of Sport Climbing) and the UIAA (International Climbing and Mountaineering Federation) met in Paris to discuss matters of mutual interest. A follow-on meeting is planned for spring 2019. Reflecting on its 2018 Global Youth Series, the UIAA Youth Commission held its annual meeting on the weekend of 17-18 November in Setenil de las Bodegas, Spain as guest of UIAA member federation FEDME –Federación Española de Deportes de Montaña y Escalada. The UIAA Medical Commission hosted its annual meeting in Kathmandu, Nepal in mid November, an occasion which coincided with the biennial XII World Congress on Mountain Medicine, attended by 420 clinicians from all around the world, run by the International Society for Mountain Medicine and organised by the Mountain Medicine Society of Nepal. One of the core achievements of the Commission this year was the publication of its high-altitude paper on diabetes. Bern, the capital city of Switzerland, hosted the start of the 2018-2019 UIAA Ice Climbing World Tour on 24 November with a European Cup event. UIAA celebrated the annual International Mountain Day and the theme #mountainsmatter by profiling a number of this year’s nominated MPA initiatives and how they are ensuring that their work puts youth communities and development front and centre. Despite the beautiful and wild landscapes, life in the mountains can be tough, particularly for rural youth. Abandoning their villages in search of employment elsewhere has led to an absence of young people and an increasing labour shortage. Migration from mountains leads to an increase in abandoned agricultural and land degradation. At community level, cultural values and ancient traditions are lost. 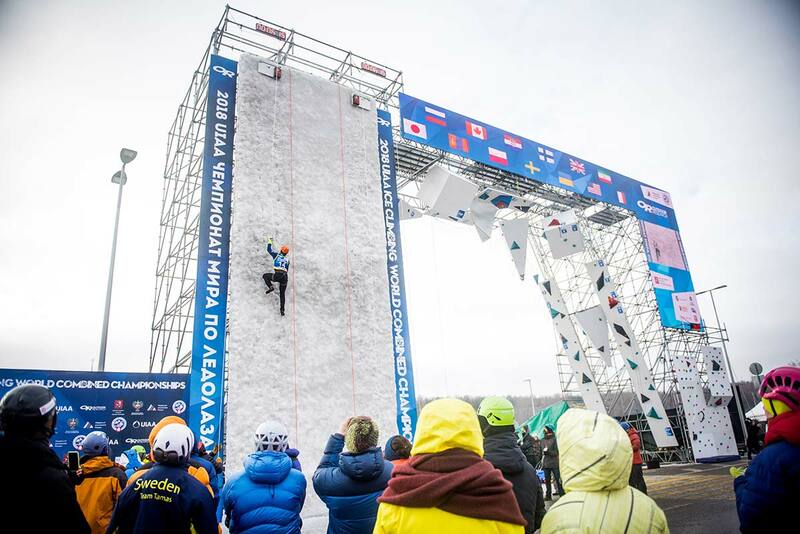 The first ever UIAA Ice Climbing World Combined Championships began in Moscow in December, a competition designed to showcase the very best ice climbers in both the lead and speed disciplines. Russia’s Maria Tolokonina and Nikolai Kuzovlev claim the prizes. The six-event World Cup Series begins in January 2019. 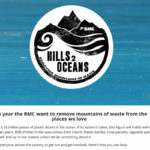 The UIAA Mountain Protection Commission confirms its desire to focus on a new direction for the Respect the Mountains Series. CHILDREN AT ALTITUDE. ESSENTIAL ADVICE.